March 4: This story has been corrected. SIDNEY, Ohio — Toward the end of last summer, managers at global giant Emerson Electric Co. called an employee meeting at its air conditioning and refrigeration factory in this county seat of 21,000 people north of Dayton. 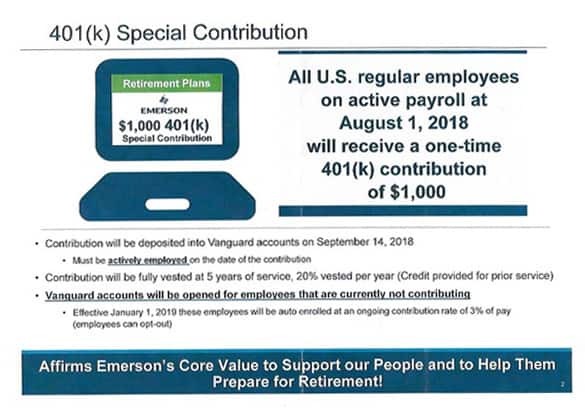 They had big news: Each employee would get a $1,000 “special contribution” to a 401(k) retirement account. Emerson’s and other companies’ payments were a publicity bonanza for the Trump administration and the then-Republican-controlled Congress. Back in 2017, as the tax bill moved on the Hill, lawmakers claimed the cut they proposed in the corporate tax rate to 21 percent from 35 percent would trickle down to workers in the form of higher wages and bonuses. Emerson’s action, and similar bonuses trumpeted by hundreds of companies like AT&T Corp. and Walmart Corp., provided proof the Republicans had their economic theory right. By all accounts, companies poured a hefty portion of the tax windfall into buying back shares, a move designed to at least temporarily boost stock prices, which benefits executives and other large stockholders. And buybacks, evidently unlike bonuses or wage increases, will certainly continue; Goldman Sachs estimates corporations spent a record $770 billion in 2018 on repurchasing stock and will increase that to $940 billion this year. Other chunks of the cuts went to dividends or reducing debt. Back at Emerson, as managers unveiled the news at the Sidney plant that makes Copeland Scroll branded products, longtime employee Lerouise Rupert, 32, said she was excited at first. 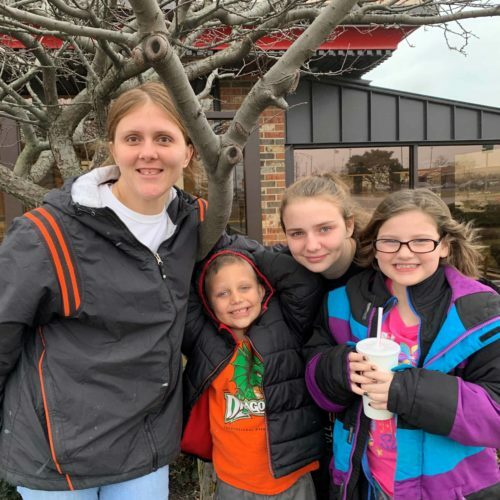 “I’m thinking, ‘This is going to be good.’ They told us, ‘We’re going to give you a $1,000 bonus,’” Rupert said recently while sitting with her three children in a nearby Wendy’s Restaurant. 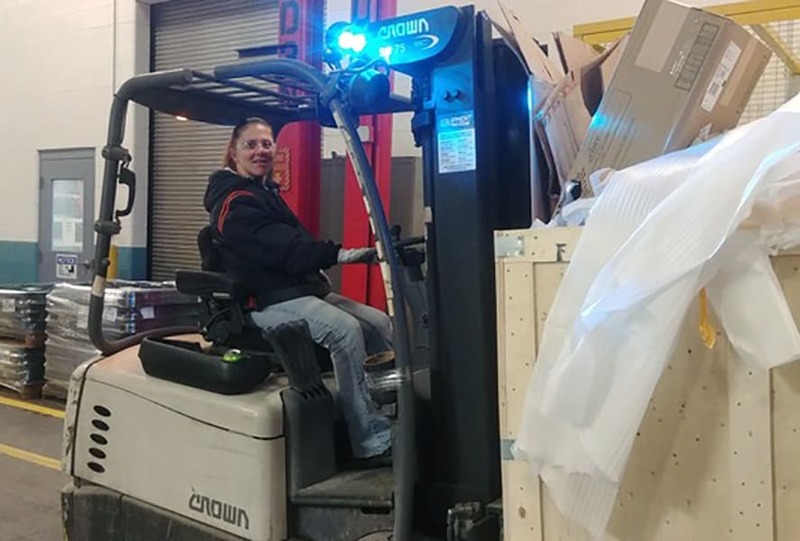 Lerouise Rupert, whose job at Emerson Electric runs from driving a forklift and to loading the assembly line to building electrical boxes, has been trying to withdraw the cash in her retirement account but hasn’t gotten far with her inquiries. Rupert’s experience provides a stark contrast to how Trump and Republican lawmakers sold the tax law. “You’re going to start seeing a lot more money in your paycheck,” Trump said a year ago at an event in Nashville, Tennessee. A couple months earlier, Trump, and then-House Speaker Paul Ryan, R-Wis., boasted the tax law would likely give typical households a $4,000 a year wage hike, with the White House reporting wages could even increase by more than $9,000 a year. Emerson’s tax rate fell to 17 percent in 2018, under the new tax law, according to its year-end filing with the Securities and Exchange Commission; Emerson executives estimate a tax rate of 24 to 25 percent this year, boosting profits year over year. 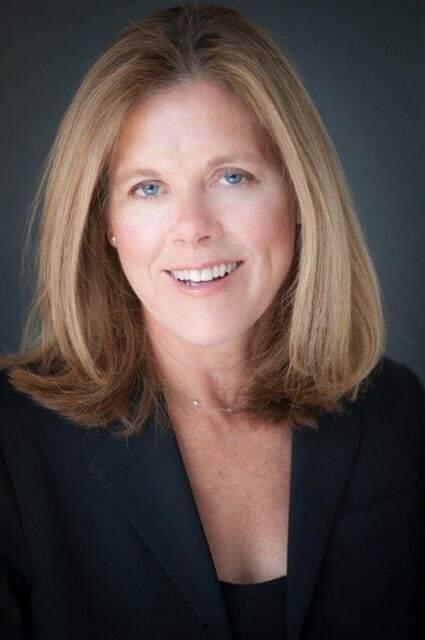 Farr told investors in an August presentation on quarterly earnings that the tax law allowed the company to increase wages and improve the company’s health plan, parental leave and paid time off. Ridge Tool workers also received that $1,000 retirement contribution, and not all were disappointed. Joe Neudenbach, a longtime employee, said he had planned to withdraw the money — at 61 years old he can without paying a penalty — to buy a new recliner to watch the Super Bowl played earlier this month. “The $1,000 was cool. I didn’t see it coming,” said Neudenbach, who added that he gets about $30 a week more in his paycheck because of the lower rates for individuals in the new tax law. Still, the one-time bonuses and one-time 401(k) contributions have been widely panned as public relations stunts that are not financially sustaining like annual wage increases. Longtime pensions and retirement expert J. Mark Iwry said employers cut or suspended 401(k) contributions in the 2008-2009 recession, but it appears most have now been restored. Companies also used the tax savings to pay down debt. The percentage of cash outflows that businesses applied to debt increased from 5 percent before the tax bill to 37 percent after the law went into effect, according to Moody’s Investors Services. Among the first companies to come out with announcements of bonuses and pay raises because of the tax law were Walmart and AT&T. On Jan. 11, 2018, Walmart announced it was giving out $1,000 one-time bonuses to eligible employees and increasing its starting hourly wage to $11, a move that many attributed more to competition than the tax law. The same day, Walmart filed notices to lay off thousands of workers. A Walmart spokesman said the company has no current plans for a 2019 company-wide bonus. He said the hourly employees’ average total compensation and benefits is more than $17.50 an hour. On Dec. 20, 2017, two days before Trump signed the tax law, AT&T CEO Randall Stephenson announced the tax law would allow the company to give one-time bonuses of $1,000 to each of its workers at a cost of $200 million — about 1 percent of the estimated $20.4 billion tax windfall the company recorded in the fourth quarter of 2017. While handing out the bonuses, AT&T was in the middle of laying off thousands of workers, including employees at call centers in Indiana, Texas and Michigan. “Employees who have been there and built the company are being pushed out in the chase of the almighty dollar,” said Marvin Thompson, who has worked for AT&T for 18 years in its Dayton, Ohio, center. An AT&T spokeswoman said the company would not be handing out another bonus this year, but the company made, in addition to the bonuses last year, an $800 million investment in its employee and retirement medical trust, and $100 million to its foundation. By this time last year, a number of companies from The Walt Disney Co. to Lowe’s and Southwest Airlines had announced they would use a portion of the tax windfall to give one-time employee bonuses. Southwest said it would use $55 million of its $1.3 billion tax windfall on bonuses. At the same time, it spent $2 billion on buybacks in 2018. Disney received a $1.7 billion benefit and paid out $125 million on employee bonuses — and $3.6 billion on share repurchases. None of the companies have announced another round of bonuses. Southwest said it had no plans to give bonuses this year and Lowe’s did not respond to requests for comment. Disney referred the Center to its January 2018 announcement. Correction, March 4, 2019, 12 p.m.: A previous version of this story incorrectly stated Sidney, Ohio was west of Dayton. It is north of Dayton. Unless you are willing to post your check stubs from the same pay periods for the last 2 years, your feeble attempt at anecdotal evidence is meaningless.